Are you are looking for a summer of fun and hard work, working in Cyprus? Spending your time learning a new skill set? Meeting lots of people with similar interests? And, all on the doorstep of the stunning coastline of the Akamas peninsula; home of the Blue Lagoon? Then maybe Latchi Dive Centre is the place for you. PADI Divemaster is the first professional level of diving certification. Once completed, you can work anywhere in the world guiding certified divers! If you have an interest in diving. Have prior experience and hold a car driving licence. And, are able to work from May until September 2019, and are interested in an internship; we would like to hear from you! 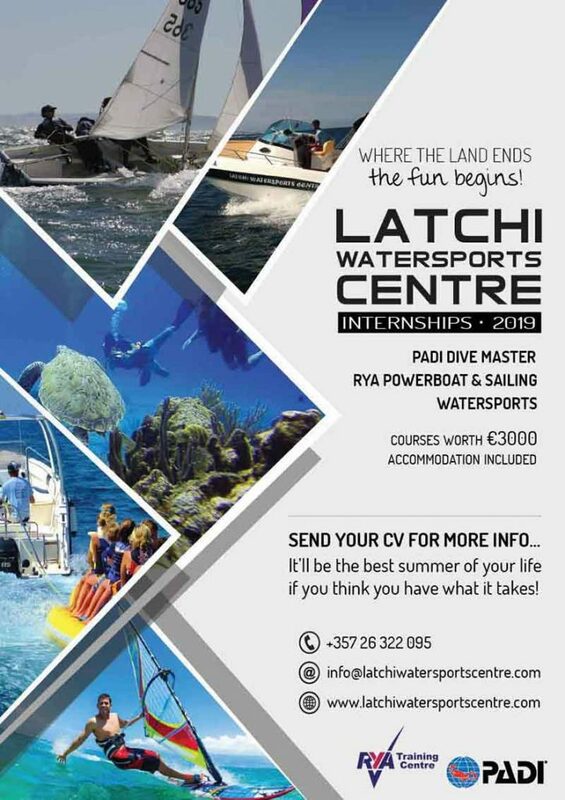 Latchi Watersports Centre is the largest watersports centre in Cyprus, specializing in Scuba Diving, Watersports, Yacht Charter, Boat rentals and Marine Services. We will provide accommodation and living expenses plus training valued at up to €3,000. This is the opportunity of a lifetime - a season in busy and highly rated watersports and diving centre with the possibility of a job for the following year! It’ll be a tough 4 months of working for us and helping out with all aspects of our business, whilst receiving training for your internship at the same time. You need to be physically fit and be able to stand the heat of the summer. if you think you have what it takes!